Pioneer Park is located south of Hwy. 26, just east of the district’s Howard M. Terpenning Recreation Complex. 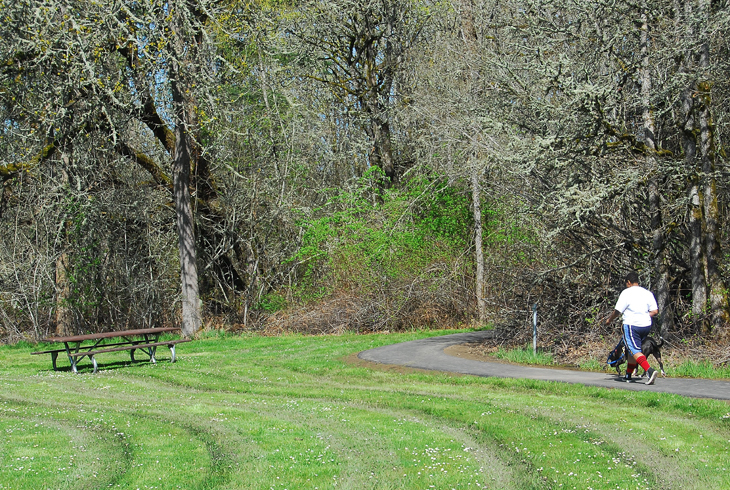 Redeveloped with funds from the 2008 bond measure, this seven-acre park blends natural area preservation with recreational use. 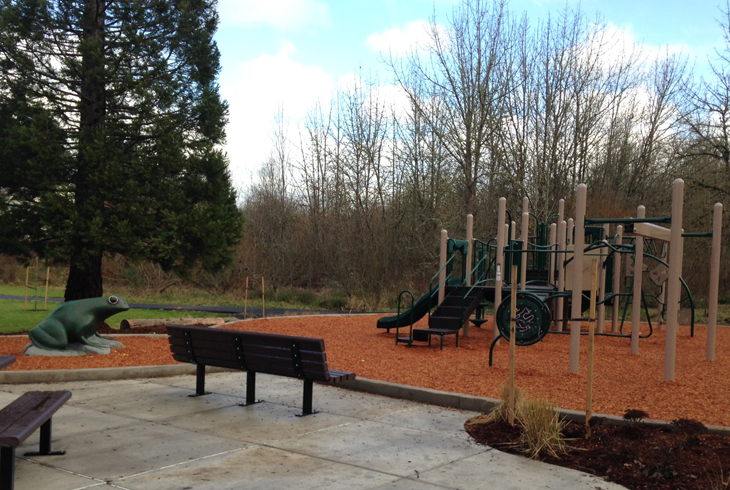 Amenities include a basketball court, horseshoe pits, a picnic plaza, a new playground, and a central lawn. 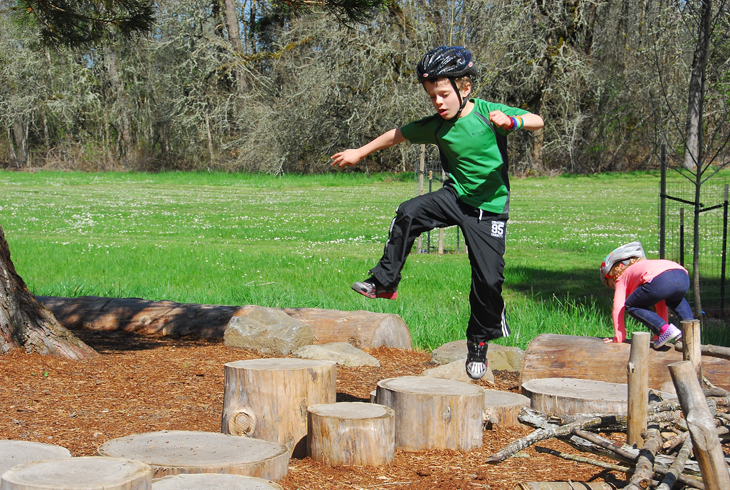 Pioneer Park’s playground features natural play elements, such as stepping logs and an area with sticks for building. Paved and soft-surface trails comprise a figure eight trail; there’s a wetland boardwalk on the west side of the park in the lower loop, and access to a forested natural area in the upper loop. Invasive species have been replaced with native trees and shrubs, inviting wildlife.